A strong profit incentive at Indian hospital is putting patients — and their wallets — at risk. The arrest of top doctors, including the CEO of Hiranandani Hospital in Mumbai, in connection with a kidney sale and transplant case on August 9 is sadly not an isolated case of an unethical (and illegal) business practice at India’s big private hospitals. Money-minded doctors use a number of tactics to fleece gullible patients. For a hefty commission, doctors prescribe more tests than necessary, to be done at preferred in-house or outside labs. Sometimes tests are not even conducted on the samples taken; instead, fake results are given to concur with the doctors’ rationale for prescribing those tests in the first place. On a similar theme, doctors prescribe expensive medicines or vaccines when cheaper, quality substitutes are easily available. Often many of these medicines and vaccines are available only at an in-house pharmacy, or recommended chemist shops outside. Other times patients are charged at different rates for the same treatment according to the room-type that a patient selects — even for the same operation by the same doctors in the same operation theater. Doctors can also deliberately delay discharging patients even when they’re fit to leave the hospital. Worse, doctors have been known to conduct fake operations to extract money from naïve patients or their relatives. Such fake operations look like genuine ones; the patient, after being given anesthesia, is taken to the operating theater where family members are not allowed. The drowsy patient is then kept for a few hours in the OT, but no operation really happens. Fake stitches might be put in so that the average patient won’t easily know that the operation was a fake. In other cases, doctors have used stents to treat heart disease treatment, even if it’s not really necessary, as that procedure is quite profitable. Stents are given to patients at three times the import price. Worse, an unnecessary stent may be harmful or even cause death yet doctors are recommending the use of stents to make a few extra bucks. Similarly, gynecologists at private hospitals sometimes scare pregnant women into opting for a C-section, which is more expensive than normal deliveries. Last but not least, there is the sad practice of luring poor and uneducated people to agree to donate organs, kidneys in particular, for which there are no dearth of high paying customers. The reality of this practice, which is in complete violation of accepted norms, was highlighted by the recent cases at Hiranandani Hospital in Mumbai and Apollo in Delhi. Private hospitals, with profit-making as their main motive, use a system of incentives and disincentives to push doctors to over-bill using whatever means – ethical or not – that they can think of. With seats in the subsidized government medical colleges limited, many medical aspirants opt for private medical colleges that charge hefty capitation fees. This makes doctors vulnerable to the whims of private hospitals that pay good money to their empanelled doctors, as they need to recover their expensive investment in medical education. However, these unethical business practices are burdening individual patients and companies, in the case of salaried employees who get health coverage benefits from their employers. Insurance premiums are negotiated periodically and the rates are decided on the basis of previous years’ claims. The more the claims in the current year, the higher the premium will be next year. Thus, patients or their employers (in case of salaried people) have to indirectly bear the ever-rising cost of healthcare in the form of high and rising insurance premiums. The insurance companies don’t much object unless their net payment obligations exceed the net premiums received. Besides, they have devised ways to limit their overall liabilities, such as capping payments for the treatment of specific ailments. If everything else fails, health insurance companies raise the premium for family floaters to make up for a low return in corporate health coverage. As a result, doctors, private hospitals, pharmaceutical, and insurance companies are making a buck at the cost of individual patients and corporations who provide the healthcare benefits to their employees in a largely unregulated healthcare market. The Medical Council of India is not effective in checking malpractices and corruption in the medical field and is likely to be disbanded soon. A system of standardized treatment protocol (or SOP) may help check some abuses, but that may also constrain doctors. Besides, SOPs may ultimately raise the cost of treatment. The preferred hospital network system has improved convenience, but is not enough to rein in unscrupulous doctors and hospitals. Can economics provide any insights to help address the growing menace of unethical business practices in the healthcare sector? Tweaking the system of incentives and disincentives, improved access to information, and, in turn, a more transparent healthcare market can help to end unethical medical practices. Incentives: Increasing the supply of seats in government medical colleges and capping capitation fees will reduce investment costs for medical students and in turn reduce their incentive to give in to the uncontrolled pursuit of profit in private hospitals, which are often run not by doctors but by MBAs. Lowered debt will reduce the incentives for doctors to cheat and overbill. Access to information and transparency: Mandatory video recordings, plus archiving and sharing the recording with patients or their representatives, will make doctors accountable. 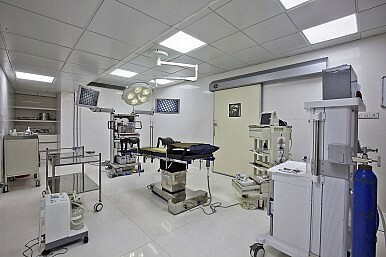 At present, private hospitals do publish the credentials of top doctors, including their education and past experience. That practice needs to be expanded to include each doctor’s record in treating patients. Thus, a gynecologist’s profile must show how many deliveries she supervised, and how many of them were normal and how many were C-sections. Such information will help patients make informed decisions about which doctor to go to for treatment. In addition, the rating and ranking of specialist doctors in fraud-prone specialties such as kidney transplants, gynecology, and cardiology by third party independent agencies — and making the ratings available online — can be immensely helpful. By the same token, rating hospitals based on their basic infrastructure, charges, and some indicators of ethical business practices — like how many medical malpractice suits are filed against a hospital — can ensure good behavior. Disincentives: Aggrieved patients should be encouraged to take their grievances to consumer courts, which are cheaper, faster, and don’t require lawyers for representation. Corporations, especially the bigger ones with bigger insurance premium bills, are advised to hire in-house doctors and medical lawyers to investigate whether they are being taken for a ride by unethical doctors, hospitals, or insurance companies, and take appropriate remedial actions. The above measures can check most of the unethical practices but not all of them. For serious infractions, stringent penalties including fines, permanent disbarment, and imprisonment will still be needed. Ritesh Kumar Singh is a Mumbai-based corporate advisor. Udit Kumar is a business economist. The views expressed in this article are personal.